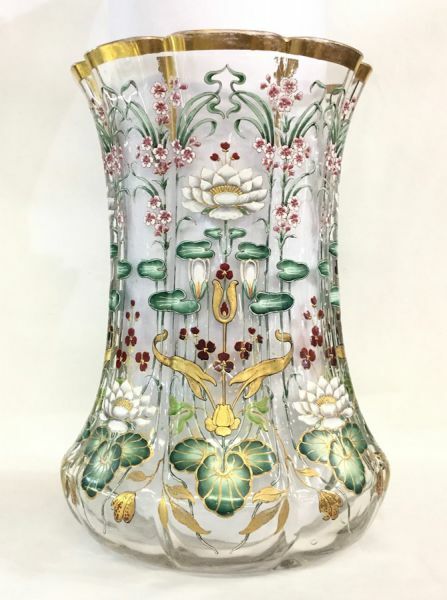 Art Nouveau hand enamelled and gilded vase. Austrian, circa 1900. 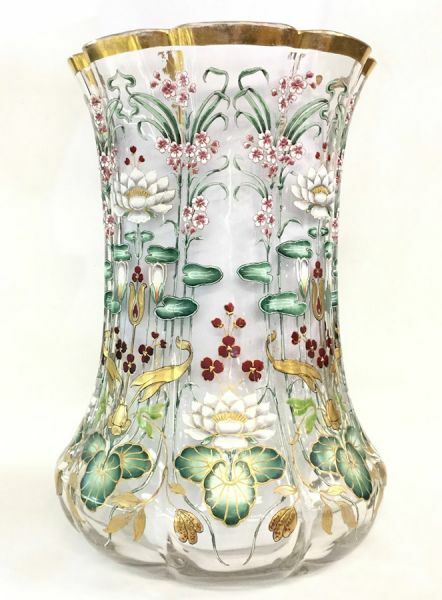 Depicting Water Lilies and Dianthus. Minor loss to the gilding consistent with age and use. 11” high, 7 3/4” diameter at the base.